Since publication in 1843, Charles Dickens’ A Christmas Carol has been adapted for film and television countless times incountless different ways. From musical interpretations to animation and modern-day versions, watching their favorites of this beloved Christmas tale is a must for millions around the world each year. Disney is no stranger to Dickens’ classic story, having made three very different versions of Scrooge’s adventure. Disney’s first stab of A Christmas Carol came out in 1983 based on their 1974 audio telling of the story. This movie stars Scrooge McDuck (because of course) as the Ba-Hum-Bug hero, Mickey and Minnie as Bob and Emily Cratchit, Goofy as the ghost of Jacob Marley, Jiminy Cricket as the Ghost of Christmas Past, Willie the Giant as the Ghost of Christmas Present, Pete as the Ghost of Christmas Yet to Come, and Donald Duck as Fred, to name a few. The interesting thing about this movie is it brings Disney characters from across other movies including friends from Robin Hood, The Adventures of Ichabod, and Mr. Toad. This is by far the most Disney-esque of the Christmas Carol adaptations. 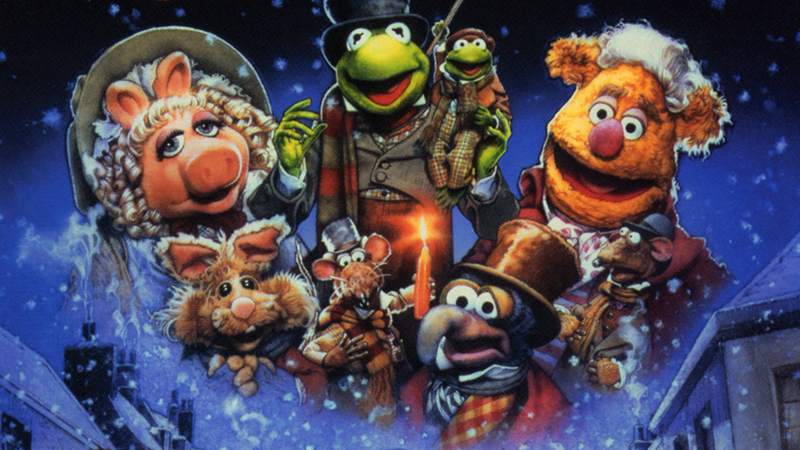 Another Disney Christmas Carol favorite is The Muppet Christmas Carol from 1992. It’s got everything you could ever want in a holiday movie: dancing, singing, comedy, Muppets, the Christmas spirit, and Michael Caine. Gonzo takes on the role of Charles Dickens and along with Rizzo tell the story to the audience as fourth-wall-breaking narrators. Kermit the Frog plays Bob Cratchit, Statler and Waldorf as Jacob and Robert Marley respectively, Miss Piggy as Emily Cratchit, Beaker and Dr. Bunsen Honeydew as Charitable Collectors, Fozzie Bear as Fozziwig, and Sam Eagle as the Schoolmaster. Of course, other Muppets make cameo appearances throughout. It’s one of the most beloved versions of A Christmas Carol and is a silly but fun tradition for many. Finally, the most recent Disney interpretation of the Christmas Carol story is from the 2009 motion-capture film. Disney’s A Christmas Carol might be the most accurate of these three versions. Jim Carrey voices Scrooge, the Ghost of Christmas Past, Ghost of Christmas Present, and the Ghost of Christmas Yet to Come. They really got their money’s worth out of Carrey’s talents! Other well-known actors made appearances too including Gary Oldman Bob Cratchit, Tiny Tim, and Jacob Marley, Colin Firth as Fred, Bob Hoskins as Fezziwig and Old Joe, Robin Wright as Fran and Belle, and Cary Elwes as several background characters. A beautifully made movie, this telling of the classic tale has more of a darker tone than other films of the same story. No matter if you prefer a more traditional telling or are a fan of mice or Muppets, there’s a Disney version of A Christmas Carol out there for you. Which one is your favorite? Let us know on Facebook or in the comment section below.